Photo courtesy of Pjork via Flickr. 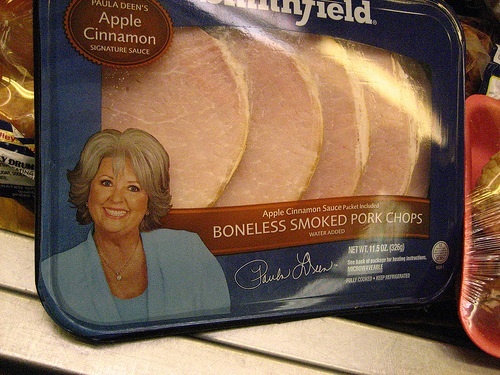 I’ve always referred to Paula Deen as the white grandmother I never had. And Paula has just revealed that she shares the same condition as my biological grandmother. Paula Deen has the sugar, a disease known to non-Southerners as diabetes. Paula announced Jan. 17 on The Today Show that a doctor diagnosed her with Type II diabetes three years ago. She’s now endorsing a drug company that makes a medicine for diabetics. My initial reaction to the first wave of Deen/diabetes rumors that floated around the Internet Monday was on par with what an overwhelming majority of my online peers thought: DUH. Paula has plied us with rich, decadent recipes for years. Who’s really surprised that she has an illness that relates so closely with your diet? The virtual schadenfreude was thick. Then I thought about my maternal grandmother. Evelyn Clark died when she was 56. She had heart disease and diabetes. My mother remembers making runs to the hospital the day after Christmas because my grandmother wasn’t watching her blood sugar as she celebrated the holiday by indulging in holiday sweets. I was only three when my grandmother died. I didn’t even know her long enough to remember what pet name I called her. As a diabetic, my grandmother didn’t take care of herself like she should have. She was gone before I was old enough to build a memory of her. Now, a stranger I have watched for years has diabetes, too. I hope Paula uses her celebrity to encourage people to take better care of themselves, whether they have diabetes or not. I hope that diabetes doesn’t slow her down, and that she never loses her charm or vigor for life. I hope that Paula lives for many more years, years that my grandmother never had.